I love this dress. Its simple, yet elegant tulip design is perfect for spring. The red flowers really pop against the white background. Pairing with a neutral cardigan helps to bright red accent under control. 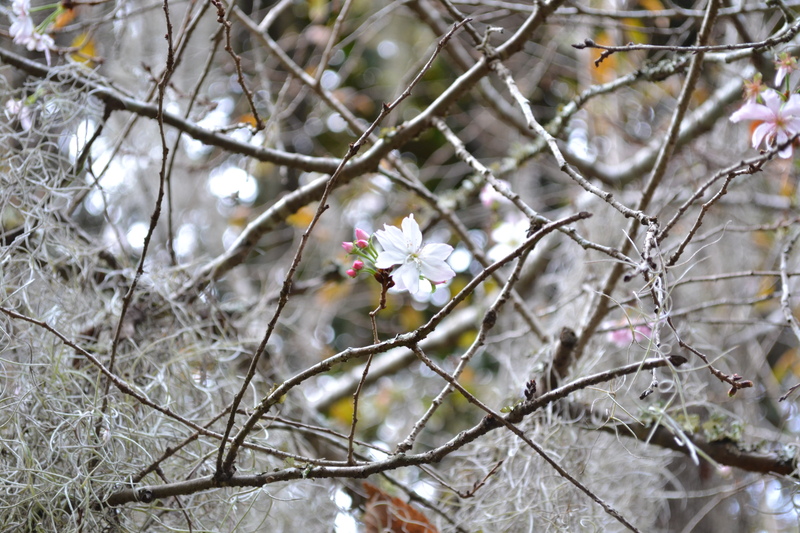 A Lonely Blossom – Magnolia Gardens, Charleston, S.C.
A Lone blossom surrounded by Spanish Moss.